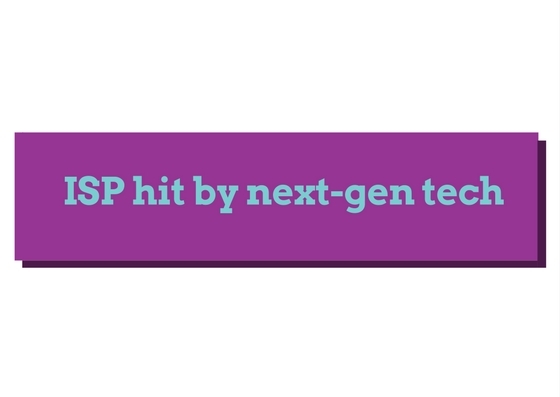 Is next-gen tech risking ISP profit? There is no doubt that technology has helped put the consumer into the driving seat, allowing users to influence the way in which organisations conduct business today. In fact, according to Forrester’s “2017 Predictions: Dynamics That Will Shape The Future In The Age Of The Customer”, almost all competitive markets are on the move. “Banks try to innovate before digital banks become formidable competitors; big-branded retailers confront the digital threat with store closings and amped-up omnichannel and mobile efforts; manufacturers get serious about their digital business; relationship-driven investment firms try to adapt to the encroachment of tech titans; and utility companies – yes, utility companies – launch customer experience (CX) initiatives to influence consumption habits and change their operations,” the paper states. Another interesting point made by the report is that revenue risk is set to increase up to 50%, and even industries that have traditionally tied customers into ironclad contracts, telcos and cable companies for instance, are under immense pressure. Chris Pretorius, Cisco business unit manager at Datacentrix, a provider of high performing and secure ICT solutions, explains that one sector feeling the impact of this profound shift is the Internet Service Provider (ISP). “Historically ISPs were able to strong-arm individuals and businesses into long term contracts that were binding, whatever the level of service received. “Today, innovations such as Software Defined WAN (SD-WAN) technologies – like Cisco’s iWAN solution – allow the consumer to select the best combination of providers and connectivity for them. The secure system automatically routes network traffic based on the best path for optimum application performance at the time, meaning that customers are now able to drive improved service delivery and ROI. Datacentrix provides leading ICT integration services and solutions to South African organisations, ensuring their success and sustainability into the digital age. The company remains resolute in its approach to partner with its customers, equipping them with valuable insight and helping to align their ICT undertakings with their business strategy. Datacentrix offers a deeply specialised skills component and is endorsed by the world’s foremost technology partners. The company is recognised for its agility, in-depth industry knowledge, proven capability and strong overall performance.